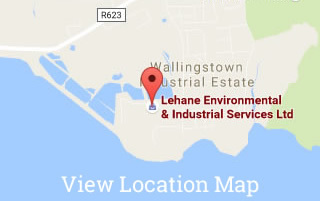 Lehane Environmental can supply 4,546 Litre Offshore Chemical Tanks. 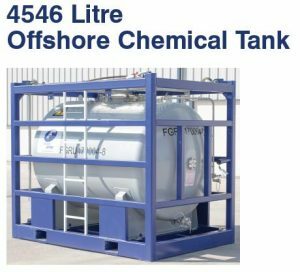 These storage tanks are designed, manufactured and full certified to DNV 2.7-1 / EN 12079 standards. They are classified as T7 UN Portable tanks approved under IMDG/ADR/RID Regulations. The storage tanks can discharge from 2″ BSPP male valves and operate to 1.75 / 2.67 bar working pressure. The tanks are complete with remove vent valve and level gauge / dip stick. The storage tanks are made of 316 Stainless Steel and have ladder steps with anti-slip surfaces and flush mounted grating on the roof.